Lions and tigers and bears, oh my! 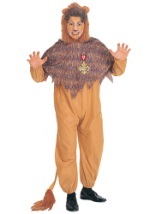 This tan fleece jumpsuit has elastic around the wrists and ankles while a long tail with a fur tuft tip is attached to the back. 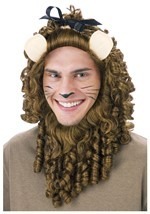 The fur headpiece has fastened fur around the ears to frame the face. 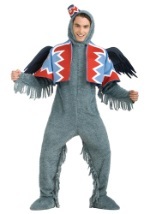 Plus, a polyester collar with jagged edges is also included. 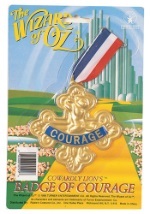 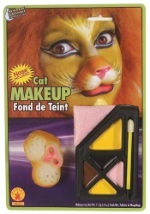 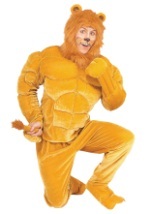 Learn to growl like the King of the Forest in this Cowardly Lion costume!